Gary Herselman (alias Piet Pers, Bokkie Buys etc) is a South African singer and songwriter.Gary first came to prominence in the late 1980’s at a time when a real protest-music culture emerged from the Afrikaner community in South Africa. The sentiments articulated by these artists resonated with what a lot of young South Africans were feeling and the popularity of the music grew exponentially. This “movement” had a name: Voëlvry, and it was born at Shifty Records’ home-studio, south of Johannesburg.Gary had a trio around this time, The Kerels, that used to perform at Jameson’s in downtown Johannesburg alongside James Phillips and the Cherry Faced Lurchers. The Kerels released their debut, “Ek Se” in 1988, on Shifty Records and a year or so later the landmark Voëlvry compilation album was released and a tour to promote the album was undertaken. Gary was by then the bass player for Johannes Kerkorrel’s Gereformeerde Blues Band and was renowned for wearing tiny rugby shorts onstage, irrespective of the weather. Sometime after the Voëlvry tour, Gary invented a “whisky sodden ou” who he called Archie Pelago and in 1991 the Archie Pelago album, “City Country” was released on Underground Records. Gary referred to it as having been “made with mostly bubble gum and elastoplast.” As he put it in his as yet unpublished memoir: – “As far as songs in the traditional sense of the word go, I think some of my best ones appear on that cassette. Of course it’s all heartbreak and snot and stuff but hey, it’s a country record.” Jannie ‘Hannepoort’ van Tonder and Willem Moller, both fellow Voëlvry survivors and ex-GBB appeared on the album. In 2003 he collaborated with ex-Kerels drummer Neil Fishwick (with whom he grew up and attended the same primary and high schools in Germiston) on the critically-acclaimed Blomkrag project and released the album “Boerecountry”. Neil lives on the Crocodile River just outside Schagen, in Mpumalanga where he chiselled out the lyrics for the album. Willem Moller, a guitar-slinger of note who has appeared with numerous acts including; Rodriguez, Big Sky and Nataniel, to name a few joined them and recorded the album. Gary played bass in Die Gereformeerde Blues Band with Willem and they appeared on Koos Kombuis’ “Niemandsland” together. Gary worked for twelve years at Hillbrow Record Centre after which he was employed for two years at a compact disc wholesaler. Herselman also founded South Africa’s first truly independent music distributor, Tic Tic Bang, in the 1990s. Tic Tic Bang was very successful in representing South African artists such as Henry Ate/Karma, Koos Kombuis, Johannes Kerkorrel, James Phillips, Mzwhake Mbuli and Jennifer Ferguson amongst others. Gary has also written a number of screenplays for film and television. Three big things happened to me in 1987: I returned to South Africa after a year of touring myKalahari Surfers band in the UK, I met my wife and I saw a band called Koos. They were, for me, the only South African band that fitted in with the work I was doing with Recommended Records and the political climate of the time. I saw them play at “The Pool CLub” and later again at “The Black Sun” in Johannesburg.They performed with incredible intensity combining theatre, art and music with punk sensibility, and best of all using the Afrikaans language which the best expressed , in my opinion, the peculiar zeitgeist of the 80’s. Not only the South African 80’s but the global cold war 80’s. Like German, Afrikaans has an angst that grabs the soul. 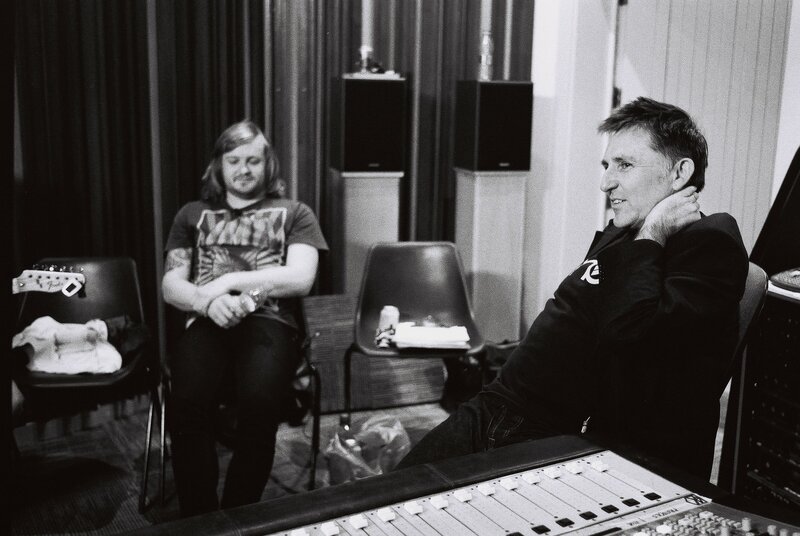 I approached them about recording and brought them into the Shifty Studio* one Sunday morning where most of their tracks were laid down live. Shifty had already begun recording some of the Afrikaans punk bands like Gereformeerde Blues Band and Bernoldus Niemand. KOOS were different though:they fitted somewhere outside of the light entertainment market. It was hard. I think of the Brecht quote “Art is not a mirror held up to reality, but a hammer with which to shape it.”Essentially a live studio album, it was recorded straight onto a Fostex B16 and digital SonyPCM ( the first digital recorder on the market). The recording was released as a cassette tape in a brown paper bag stamped with the word “KOOS”. Some months later, I recorded one of their performances live at the Black Sun, from which 2 bonus tracks appear here Here, then ,is the KOOS cassette packaged for CD reissue and now for MP3 release through Sjambok. As they say “Oud maar nog nie koud” Warrick Sony – Kalahari Surfers www.kalaharisurfers.co.zaLloyd Ross and I ran a small mobile studio called “Shifty” which was situated in a derelict mining village South West of the city of Johannesburg. Check out the Shifty Records website: www.shifty.co.za I will be uploading their releases here shortly. 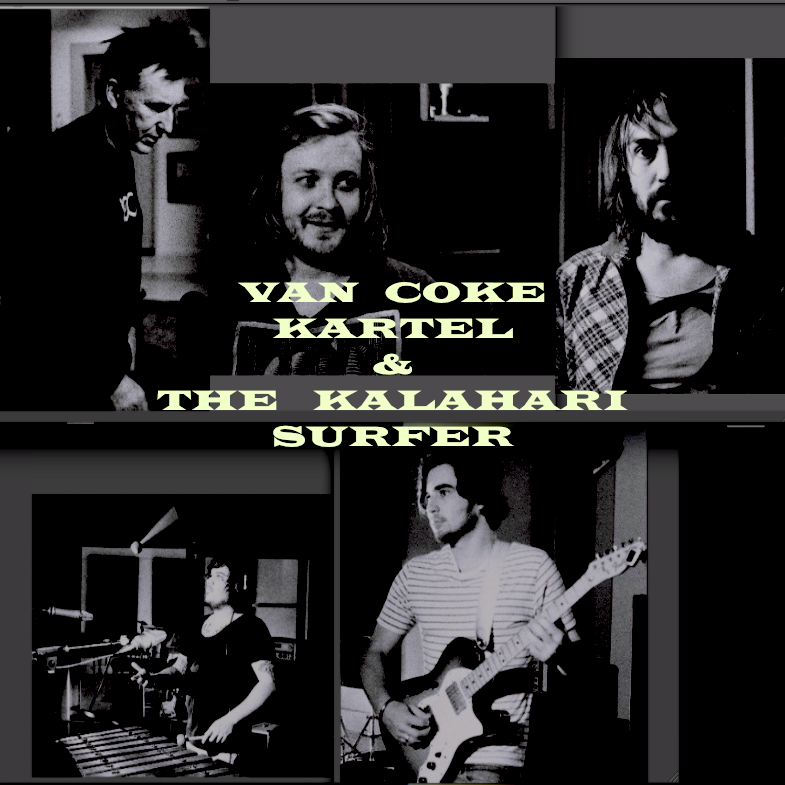 This is the song that was composed by Coke Kartel and recorded and produced by the Surfers for Jam Sandwhich TV project.It is now available for downloadat “Smells Like Teen Prison Food” Van Coke Kartel is Francois Van Coke, Wynand Myburgh Jason Oosthuizen en Jed Kossew. This is the legit download of the original vinyl album from Shifty Records. VER VAN DIE OU KALAHARI All tracks were recorded live onto two tracks at Shifty Studio in May 1987. I wanted the atmosphere of the recording to be just like the demo of these songs that Andre had sent me. So when he came up from Cape Town to do the recordings, I pointed him to the microphone, switched on the tape recorder and went and drank tea for an hour and a half. Apart from the kak quality raps that were taken from that original cassette, what you have in your hands is what happened in that fateful session, puisies and all. The Producer, Lloyd RossAll songs published by Shifty Music (ZA) Distributed by… The front cover is a combination of images from paintings by Walter Meyer as composited by Petra Dammrose. Thanks Walter! Original recording licensed from Shifty Records. An outstanding share! I’ve just fortwarded this onto a coworker who was conducting a little homework on this. subject here oon your web page. thanks for the feedback !